The International Association of Medical Science Educators (IAMSE) would like to congratulate Dr. Rick Vari as the winner of the 2017 Outstanding Reviewer Award. This award is a new initiative of the Editorial Board of Medical Science Educator. 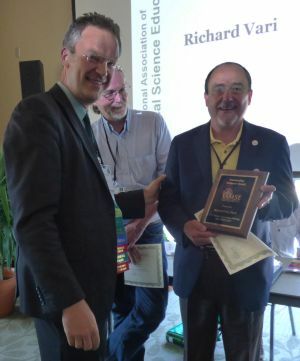 The award is to be presented annually to recognize one of the journal’s reviewers for his/her outstanding peer review efforts over the past year. The recipients are selected based on several criteria including reviewer performance and delivering the reviews in a timely manner.